With the growth of high efficiency condensing boilers, furnaces and hot water heaters, the installation of a condensate neutralizer is now a mandatory requirement. High efficiency condensing boilers and hot water heaters extract additional BTUs form the water vapor in the flue gas. When the gas drops below 130°F, it starts to condense and produces an acidic liquid which has the potential to cause damage to your piping, drains and other system components. When your boiler or hot water heater is operating in full condensing mode, approximately one gallon of condensate gets created for every 100,000 BTUs of input. So if your system runs for 1,200 hours each year, it will produce 1,200 gallons of condensate! The acidic level of the condensate is measured in pH on a scale from 0 to 14. Most condensate will have a pH between 2.9 and 4 with 7 being neutral. This scale is not linear; each step below 7 is 10 times more acidic than the next higher number. Treated condensate must be close to neutral as possible with 5 being the minimum. Most national and state regulations prohibit the discharge of liquid into a drainage system without treating it to raise its pH. The easiest way to accomplish this is by treating the liquid using a condensate neutralizer. How does a Condensate Neutralizer Work? Treatment of condensate is accomplished by exposing the liquid to a media containing calcium carbonate. Calcium carbonate makes up more than 4% of the earth’s crust and is found in the shells of fossilized snails, shellfish, and coral. The most common form of media used in a condensate neutralizer is limestone. The calcium carbonate in the media changes the solution into water, CO2 and various salts which collect in the bottom of the tank or tube. There are two primary issues to consider when selecting a condensate neutralizer – the percentage of calcium carbonate and the amount of surface area provided by the unit. You should choose a product that contains a minimum of 90% calcium carbonate and that has media dispersed across a large enough surface area to effectively treat the amount of condensate being produced by your system. Once you have a unit in place, it should be monitored regularly. Over time, the surface of the media will become coated or clogged and the efficiency will be reduced. At this point, you will need to replace the media. San Jose Boiler Works provides and installs a wide range of pH neutralizing tubes and tanks manufactured by JJM Boiler Works that protect your system and the environment by raising the pH level of the condensate. We can assist you with selecting the appropriate size unit to meet your needs, help you monitor and check periodically for optimal results and recommend the appropriate maintenance (media replacement) intervals. To learn which condensate neutralizer is best suited to counteract the acidity in your boiler or hot water heater, contact us or call (408) 295-5235. Boiler operation costs and overall efficiency are major concerns in our current business climate. While there are many solutions on the market that claim to help improve efficiency, determining the most advantageous products and techniques to employ on your particular system can be daunting. To help give customers the information they need to take the next step, San Jose Boiler Works has compiled a list of six tried and true methods to achieve greater efficiency. 1. Preventative maintenance – Keeping your boiler system periodically maintained is key to ensuring that performance is as efficient as possible. Steady maintenance will catch potential issues and resolve them before interrupting service, and regular blowdown procedures will help rid your system of any particles or sludge that would slow down your system. 2. Economizers – Implementing economizers to a boiler system drastically reduces steam waste and repurposes it to preheating the boiler feedwater, increasing efficiency and lowering operating costs. 3. Lead lag system – Lead lag systems determine how many boilers to bring into operations depending on the momentary load requirements. Only using boilers that are necessary to production reduces overall wear and tear while increasing efficiency. 4. VFDs – Variable frequency drives, or VFDs, detect when loads are lower and reduce and accelerate the speed of the motor accordingly, helping to only use the energy actually necessary for production. Like the lead lag system, only using what is necessary helps to save on fuel costs as well as making the system more efficient. 5. O2 Trim – During production, boiler systems require oxygen during the combustion process, and often the result is excess air in the combustion stream. O2 trim systems continually monitor the flue gases and regulate the air supply, helping to save on fuel costs while increasing overall efficiency. 6. Deaerators – Deaerators remove excess oxygen and other dissolved gases from the feedwater, helping to reduce rust and other potential corrosive issues. There is no need to use chemicals to clean out the boiler when using deaerators, and the boiler doesn’t have to work as hard when free of any undesirable substances, increasing overall efficiency. 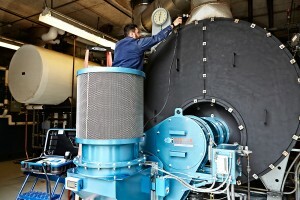 It’s important to note that while all of the products and techniques discussed above can help reduce operating costs while increasing efficiency, not every one of them may be advantageous for your particular boiler system and configuration. 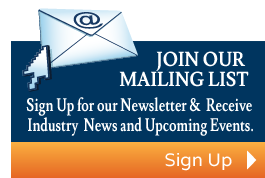 If you are interested in learning which products will help to make your boiler system as efficient as possible, contact San Jose Boiler Works today. Air density is constantly changing – even the temperature differences between night and day can significantly affect boiler system performance. When air temperature is not maintained at an ideal level for combustion, the boiler system cannot operate at optimal efficiency, and combustion stability can degrade. With the relatively high cost of boiler system replacement, it’s important to safeguard your existing investment with tools and technologies that will not only help your system run as efficiently as possible, but also help save in operating costs. Temp-a-Trim from Webster Combustion is an enhanced auto air density trim system that can help customers do just that. With Temp-a-Trim, the fuel to air ratio is constantly monitored by a variable frequency drive (VFD) that will detect anomalies and automatically modify the fan speed, ensuring the environment is always at the ideal level for combustion. In addition, Temp-a-Trim can be easily installed on any brand, model, and size of commercial and industrial burners, and it is fully compatible with both linkage and linkageless control systems, making it one of the most flexible products on the market. With Temp-a-Trim, the benefits are numerous. Customers can expect significant energy savings of up to 30%, while fuel savings can be decreased by up to 3%. With such a sharp reduction in energy usage, customers will also become eligible for energy rebates, further reducing operation costs. And by minimizing the need for seasonal burner tune-ups, Temp-a-Trim also allows customers to spend more time up and running while minimizing the labor hours normally spent on burner maintenance. If you’re ready to save on fuel and energy costs while increasing the overall efficiency of your boiler system, it’s time to take action. Contact San Jose Boiler Works today and discover more about how this innovative product can work for you!